i look like i’m wearing a white/plaid parachute. when is one of you’s guys going to set me straight about the plaid shorts? do you not care at ALL? First! (hat tip to BSNYC) Great news onSusan and can’rt wait to get home to see the video. I’m digging the plaid shorts. Should I not be? The plaid will at least give the searchers something to look for. That’s such great news about Susan! Win Susan! What an awesome ride! Love the music as always. Is there really a pair of shorts and bike seat that are comfortable enough to “protect your junk” from all those rocks and roots? Wow. I’d be standing all the while! Still praying for Susan and your family. I’m so amped, another wonderful reason you’ve given us to contribute to the cause. And again, I WILL climb Tibble sometime this year, i just never knew any sane person could (assuming you all are). Susan is just one of those people I think about every day. Glad it was a good one. heck of a prize Fatty. Dug- I’m with Helena. Embrace your uniqueness. You rocked the descent. The fact that you did it in plaid just makes it that much more impressive! Fatty- I am ecstatic to hear Susan is rallying. Win Susan, Win Susan!!! 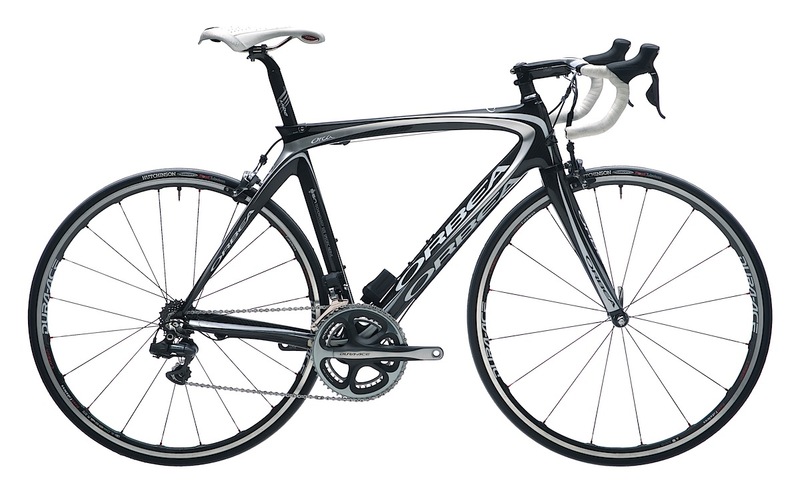 I have been literally drooling over the Orbea Diva for a few months now. That would be a sic ride to bring to LiveStrong Austin. I can’t wait to see what challenges you have in store next! omg omg omg omg…. I NEED that bike!!!!!!! It’s like my entire lifelong dream to ride a bike like that! Plz Plz Plz…. Looks great. How long of a trail is that? I just collected money to start donating- Tuesday it is! Social D is in my top 5 list. Nice choice. I’ll be by your house sometime on Sunday evening to steal the bike. Please make sure it has Speedplay pedals on it so I can ride it home. I’m glad Susan is doing better. You’re in my thoughts and prayers every day. That was an amazing video! I live in the middle of the prairies so nothing anywhere around here. Do you ever see any animals, like deer or rabbits or anything? Do you ever get ticks going through all those trees and long grass? Nice I just hiked that trail with the family Monday evening…. Hearing that Susan is doing even a tiny bit better just makes my day! And that bike? Let me at it. We are so going to kick cancer’s you know what! Awesome vid, I really have to get down to Utah soon! Great to hear that Susan’s fighting hard – your family is in my thoughts always. wow……great trail….seeing as I am anything BUT a diva, I think I’d like to win the Orbea Diva; can you arrange that please ? You know what, watching these videos actually makes me want to load my bike into the back of the truck and drive longer than the 20 minutes it takes me to get to Snowbasin to go for a ride. Awesome trails. Sanity. Funny thing about the Orca. I had one, but I gave it away for charity. No, wait. That’d be the Fat Cyclist–I’m the JEALOUS cyclist! Cool stuff for a Friday! I think i’m in love…with the Orbea, with the Tibble and with the idea that Susan is so strong…Win Susan!!! Fantastic prize and great news about Susan. I’m ready to win that bike! Fatty, I sent a couple of emails with “improved” pictures of the bike to you because I can’t get photos to work on these comments from here at the office…Ooops, Back to work! That’s great news about Susan. See, cancer doesn’t stand a chance with Fatty’s Army on the march. Or trail. Or road. You know what I mean. Great video– I’ve never mountain-biked, your videos make me want to try. Can’t go wrong with laying down a Beasties track on your video. Nice selection. Sweet video as always. Maximum points for Fatty in the local trails competition. But would someone please tell the tall guy on the red full suspension bike to PLEASE get a bigger frame? He has what, about two feet of seatpost showing? Criminy! There are laws about indecent exposure, you know. Great news about Susan. You guys are amazing. All of you. Your whole dang family. I reserve judgment regarding the cat, since the cat has only been mentioned once, ever. Mind-boggling contest. I can’t wait to enter. There’s an idea — Maybe you can score a new, properly sized frame for the tall guy and auction off his old one for Team Fatty? so glad to hear about Susan! No doubt you already know how much support you have, but if you ever feel down. Try searching on Twitter for “Win Susan”, stay strong. I watched this thing two or three times in a row when you posted it on Vimeo. Everything looks great but the roots challenge. That sort of thing turns me into a cyclocrosser pretty quick. Man, Fight Like Susan is really saying a lot. My best wishes and prayers to her, you and your family, Elden. Oh, and the Orbea Orca is only the thing I have been drooling about for, oh, since they came out with them. EEnnnh. I’ve been waiting for this since Wed morning. It didn’t disappoint. @2:00 = my 5 seconds of glory. By the way, Hautacam, if anyone knows how to pick out a frame, I think it’s Racer. I’m sure he’ll appreciate the tip though. Great news about Susan! I’ve been praying for her every day – several times a day. I miss Utah! Great job putting the footage together. I notice your fellas struggling with that rooty section. You come on out to the east coast and we’ll show you how handle that stuff. Miles and miles of it. Firstly great news for you and Susan every little win is important. Love ya Susan Keep fighting. WIN. I should add its great news for us also. I think it is Beth who reminds us it’s one day at a time and that is so true. It does get scary if their is a bit of a gap between your posts however it is also completely understandable. Now that is a class prize as recognised by an Orbea groupie. Get it on this one everybody as somebody is about to be elevated to superstar status amongst their peers. I’m sure they wil get the recognition from FC but someone somewhere has come up with a biggie for the cause. The video is great stuff. Team Fatty heading for $500k and more. We truly Rock! Gifts abound. I hope that you are all enjoying your time with Susan. Holy cow! What a perfect ride and trail! I envy you bad. I’m also very pleased to hear about Susan’s continued toughness. Ride on, Fatty. I have GOT to ride that trail. And the bike will need some SPD’s on it, please. I read your blog daily, and as it loads I hope for the best news about Susan but have myself prepared for the worst. I’m glad to see that she is still with you all. How come everyone is waiting on you all the time? Glad to hear Susan is doing a bit better. I’m praying for all of you. We have some great riding here but your video nearly has me convinced to move there. I don’t read the previous, cuz I’m Finnish. There, I said it. Totally and completely bad@$$ video. Just found out today that a good friend got diagnosed with breast cancer. Her husband (an awesome man) is serving in Kosovo until December. Am trying to send shouts to her while fighting back so many tears. Win…the small battles and the big ones…but win. Know that strong arms around you. Tenacious D as in Diva – Go Susan! I can see why you ride so much now, what a cool ride………..
Great ride and a fab looking breakfast at the end! Thanks for making me feel bad about my local trails.. Continuing to pray for Susan and the family. Many blessings upon you and your family. Your courage and kindness are inspiring. Awesome. Social Distortion and mountain biking. All the best. Great news about Susan. Still praying. What a great looking ride My friends and I have just come back from Normandy, great 4 days we also eat well. Please tell Susan that Linda in California says, “Keep on fighting girl. You are absolutely amazing and your spirit is a testament to all of us.” As for the ride, Fatty, beautiful. I used to live near those parts and miss it nearly every day you lucky dog, you. don’t be this guy. runs 14 red lights and takes pictures. i say do an article on him and make him an example of how NOT to act when riding a bike. hey, sending lots of prayers for you & your kiddos…wishing good sleep at night & comfort & healing to you all. I hope your beautiful wife can be free soon. God bless you all! Good to hear about Susan!! Tibble is not for me I think, I’ll stick to the road. Fun to see others do it though. Fight Susan, Fight Like Susan Win!!!! I love how many of your posse are outfitted in FC jerseys. I rode the Marin Century yesterday (a 60 mile ride through the Marin County hills) and was surprised to have a call out from a fellow FC jersey wearer. We’re out there — supporting you, Susan and your family every day. If I won that bike, I’d name her “Susan”. What other name could there be? Man, I’m drooling. I have officially resigned from mountain biking due to past and potential injury. That said, your video is incredibly inspiring. Clearly a LOT of fun (with some pain to start!). You guys descend like demons, regardless of the terrain. I still won’t throw the leg over the top tube of a mountain bike, but you give me pause. Thanks for sharing. Peace. The jerseys are out there! Like many others, my thoughts are often on you, Susan and the kids. So glad to hear that Susan is fighting. Fight like Susan; WIN Susan! Hey Fattty! We love the updates on Susan, her struggles keep our lives in true perspective. God bless your family! Cherish every moment and write down as many memories as you can, (I wish I had written down more 6 years ago). Every moment is truly precious and can never be duplicated. Love to you and your family! Oh hell yeah. I rock the Team Fatty on every ride. I passed a Fat Cyclist jersey in Fort Worth last week. Made me smile. Did you see Lance’s new horse for the Leadville 100. If we could get our hands on that after the race to auction off that would be amazing.